CoolSculpting vs. Liposuction: Everything You Need to Know - Doctor Hermann M.D.,P.A. We all want tight, smooth, youthful contours, but what is the best way to get the body that you want? Beyond eating well and exercising regularly, you may also consider cosmetic treatments to help you look and feel your best. Liposuction and CoolSculpting are two popular treatments designed to improve your appearance. Here’s everything you need to know about their similarities and differences. What Is Liposuction? Will It Work For Me? Liposuction has been used for decades to suction stubborn fat from the body. It isn’t designed to help you lose weight, but instead to remove stores of fat so that you can reach your aesthetic goals. Traditional liposuction is the original form of liposuction. This procedure uses a cannula to break up your unwanted body fat and suction it out of the body. 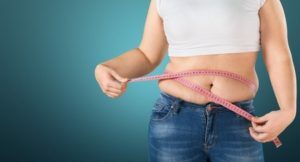 This is an effective treatment, but you also have the option of the newer Ultrasonic liposuction that emits ultrasonic energy to break up stores of fat instead. Liposuction certainly has its pros and cons. It usually needs to be carried out under general anesthesia, which makes liposuction a more complex procedure with a distinct recovery period. It can also leave scars and cause infection. CoolSculpting® also targets unwanted fat, but in a unique and innovative way. This new technology delivers controlled cooling to gently freeze and kill unwanted fat cells underneath the skin. The body naturally processes and removes the dead fat cells over the span of two to three months. Unlike liposuction or other complicated fat-busting procedures, CoolSculpting is non-invasive, quick, and safe. You only need one treatment to achieve results that become gradually more noticeable over three to four months. If you’re ready to use CoolSculpting to effortlessly break up with unwanted fat, call (813) 773-8214 to make an appointment at Hermann Wellness in Tampa, Florida.